In this article I’ll take a look at the progress being made across the United States as more and more states legalize online poker, and others start to consider the option of offering their residents, legalized and regulated online poker. Even without any movement at the federal level online poker in the United States is steadily gaining momentum. Nevada is nearly ready to launch the first legal real-money online poker site in the United States, Delaware has passed their own legislation, and after Chris Christie’s conditional veto on Thursday New Jersey is poised to become the third, and most populous, state to legalize online poker. Additionally, states all across the union from Massachusetts to California to Hawaii, have floated the idea of legalizing online poker. Online poker in Nevada is primed and ready to go; the sites are just about ready; all of the regulatory bodies are in place; the only thing holding it back is some late testing of software to make sure the launch occurs as smoothly as possible. While most of the attention has been on Nevada and New Jersey a third state slipped in between the two and passed some online poker legislation of their own, Delaware. The small Atlantic state passed a law back in June of 2012 allowing ALL forms of online gaming from lotteries to poker to casino games. Delaware’s governor (as well as Nevada’s) has also spoken publicly about inter-state compacts being formed, which would be the first real steps towards full-fledged legalized online poker in the US. The online poker bill introduced in Mississippi is officially dead, but just the notion that such a bill would even get a mention in the very conservative state is a good sign. When Massachusetts passed a bill in 2012 to license three casinos within its borders there was also some language regarding online poker. 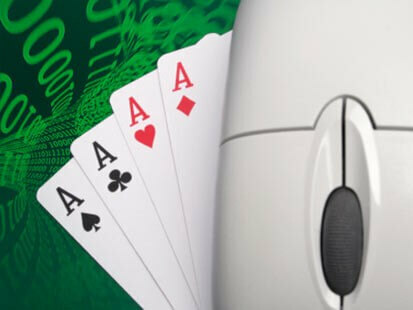 State Treasurer Steve Grossman is a major proponent of online gaming, and Massachusetts could be among the next group of states to pass their own online poker legislation.